Official Hurt Trucker™ Site » insurance, Trucker rights, Workers Compensation » Could More Owner Operators Be Entitled to Work Comp? Let’s Hope So! Over the years, trucking companies pushed to classify employees as owner-operators. The reason us simple – to avoid paying truckers workers’ compensation benefits. Trucking companies and other employers usually only have to pay workers’ compensation benefits to employees (company drivers). They generally are not required to pay benefits to owner-operators because they are considered “independent contractors” and not employees. Some owner-operators are true independent contractors. They own their tractors, they contract with many carriers, and they control the manner in which they perform their work. In short – they different from a company driver that drives a company tractor, drives exclusively for one carrier and is subject to the carrier’s work rules. In Missouri and some other states, trucking companies have been allowed to avoid workers’ compensation responsibilities by calling drivers independent contractors when they really are not. This is often through a “lease operator” arrangement where the trucker does not own the vehicle, drives exclusively for one carrier, and is subject to the same work rules as company drivers, but is still classified as an owner-operator. Prime, Inc. and Con-way Truckload are large trucking companies that have used this “lease operator” arrangement. Unfortunately, the Missouri legislature bent to the will of the trucking company lobby and changed the law so that companies do not have to provide work comp to these drivers. This “lease operator” arrangement has been criticized as often bad for truckers. That may not be true for all truckers. But, the arrangement (at least in Missouri) does deprive the trucker of workers compensation benefits which can be devastating for truckers who are injured on-the-job. The U.S. Department of Labor is cracking down on the misclassification of employees as independent contractors. The issue has been a focus of the Obama administration and is being pushed by labor unions, and in recent highly publicized and successful lawsuits against FedEx. 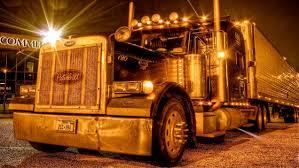 There is concern that the regulations may make life even more difficult for owner-operators. One positive impact of the Department of Labor’s effort may be that in some states truckers who are now classified as owner-operators and do not have work comp benefits may be entitled to those benefits in the future. Let’s hope this important protection is extended to more truckers!